Our fluffy, soft blankets will surely warm you up on a cold winter day! Perfect to drape on the couch for a comforting living room look. These beautiful throws come at a reasonable price and unbeaten quality. These make great Holiday gift for all ages! 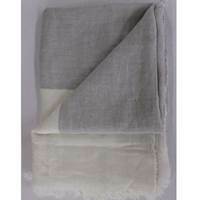 Brother Blanket Optic Linen Throw Blanket These beautiful light grey throws are 100% linen. Warm and soft, these throws make perfect Christmas gifts for family and friends. At 70" by 50", they are generously sized making them great for snuggling up on the sofa on a cold day. Simple, beautiful, and practical, these throws are sure to compliment any decor. Machine washable (cold water). 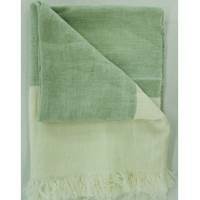 Brother Blanket Cream/Green Linen Throw Blanket These beautiful cream and green throws are 100% linen. Warm and soft, these throws make perfect Christmas gifts for family and friends. At 70" by 50", they are generously sized making them great for snuggling up on the sofa on a cold day. Simple, beautiful, and practical, these throws are sure to compliment any decor. Machine washable (cold water). 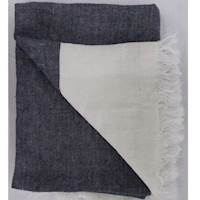 Brother Blanket Cream/Blue Linen Throw Blanket These beautiful cream and blue throws are 100% linen. Warm and soft, these throws make perfect Christmas gifts for family and friends. At 70" by 50", they are generously sized making them great for snuggling up on the sofa on a cold day. Simple, beautiful, and practical, these throws are sure to compliment any decor. Machine washable (cold water). 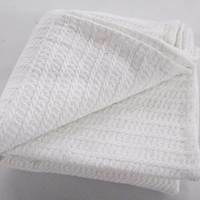 Aadith Optic White Cotton Throw Blanket These beautiful white throws are 100% cotton. Warm and soft, these throws make perfect Christmas gifts for family and friends. At 70" by 50", they are generously sized making them great for snuggling up on the sofa on a cold day. 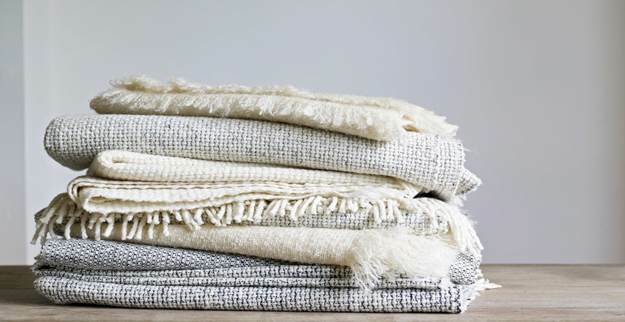 Simple, beautiful, and practical, these throws are sure to compliment any decor. Machine washable (cold water).